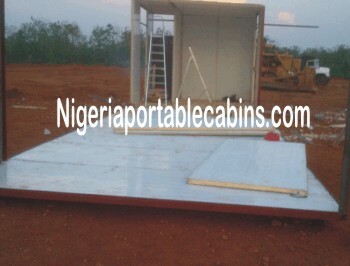 Manufactured home construction in Nigeria is similar to what obtains in advanced economies of the world. Of course, the more advanced the country is, the more automated (and sophisticated) the manufactured home industry is. Nevertheless, the manufactured home construction industry in Nigeria is doing great . . . and the industry is constantly evolving as innovation take centre stage among the key players in the industry. What are the stages in prefab homes construction in Nigeria? What are the construction (or building) materials used by prefabricated homes construction companies? How quickly can customers expect to get the manufactured home they ordered? How reliable are manufactured homes anyway? These are common questions asked by first time manufactured home buyers. And this page seeks to provide simple and straightforward answers to these questions. Let's start with construction stages. The first stage in the manufactured home construction process has to do with project planning. Remember the popular saying, "if you fail to plan, then you have planned to fail". Now you wonder, "what sort of planning is required?" Project planning is two-fold: customer plans and manufacturer plans. when we deliver them to your site. Why do portacabins need a raised platform? Simple reason . . . to prevent rain water from entering the cabins especially in areas prone to flooding. When you stop to think about it, you may likely begin to see other benefits you stand to gain when you place your cabins on raised platforms or stands. As manufacturers of portable cabins, effective project planning is key to our success. We work within tight deadlines to ensure we deliver to our clients on time and in full . . . and wherever they need the prefab homes in Nigeria. The second phase of manufactured home construction has to do with the actual construction work itself. premises from start to finish. If the size of the prefab building is such that it can be transported, we have to decide whether to build at our factory or at the customer's site. However, if the size of the building is such that it cannot be transported in whole, then we definitely have to build at the customer's premises. The designated managers handle building materials and personnel transport, accommodation, and the entire logistics associated with the manufactured home construction. Our goal always is to deliver to the commitments made to our customers . . . and on time. The third phase in the construction process is final finish. This includes installing suspended ceiling, lighting, furnishings, and fixtures and fittings. On completion of the flooring and final finish, the appropriate staff will execute the cleaning phase of the construction work. Cleaning sounds like a small part of the process BUT it is a significant part. Thorough cleaning brings out the beauty of the manufactured home. And the manufactured home construction process is incomplete until final cleaning is done. 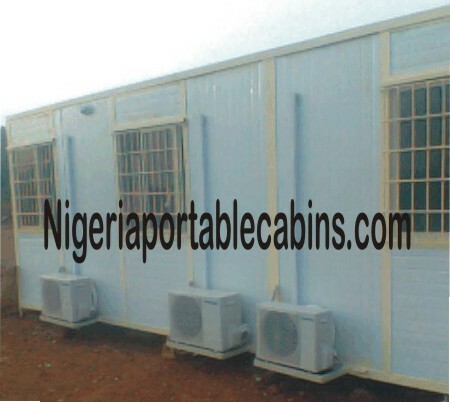 Manufactured homes in Nigeria are built from prefabricated sandwich panels and steel construction materials. The building materials used also include electrical materials and final finish materials that add aesthetics to the building. The good news is . 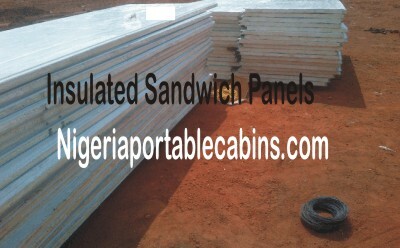 . . all the materials we need for the prefab home construction are available right here in Nigeria. This means that we can meet tight delivery schedules because we are not limited by port delays or shipping and clearing challenges associated with imported products. How fast can we build manufactured homes and prefab houses? Your manufactured home construction can be completed in 2-3 weeks or less. Of course, the construction duration is dependent on the size of the building. For example, a one-room studio prefab house will be completed faster than a 3 bedroom prefab house. We build manufactured homes and prefab houses pretty fast. Want a quick built house? We are just the right people to talk to. Sure, our manufactured homes are durable. Buy one. Use it. And you will fall in love with it.